The Hopkinton Public Library Heritage Quilt is now on display in the Board of Selectmen Meeting Room in Town Hall. Pieced by several members of the Marathon Quilt Guild, the Heritage Quilt looks like a bookshelf in our Library. The spine of each book proudly displays the names of those who donated to this historic project, the names of local and national authors, and the names of those who founded our Library. As such, the Quilt honors Hopkinton residents of the past and their long tradition of supporting the Library, and celebrates the residents and businesses of today who are committed to the future of this essential community resource. The Heritage Quilt hangs above the 300th Anniversary Time Capsule Bench, both of which will be permanently displayed in the renovated and expanded Library upon completion of construction in 2017. The bench was crafted and donated by Hopkinton resident John Foster. More than 80 residents, legislators, and local business owners generously donated funds to support the Heritage Quilt Project, and together raised more than $6,000 for the Library renovation and expansion. Former Librarian Susan Marshall directed the project on behalf of the Library, and obtained signature spines from dozens of local, national, and international authors of the current day, including Geraldine Brooks, Jenna Blum, and Laura Hillenbrand. Kathleen Culler, Culler Photography LLC, assisted with photographs for the quilt top. Members of the Marathon Quilt Guild, based in Hopkinton, contributed their time and talents to piecing and assembling the quilt. Colleen Barnes, Jean Bertschmann, Kerry Creswell, Cathleen Dinsmore, Linda Grant, Michele Leung, Yvonne Powell, Janice Roberts, and Laima Whitty all contributed to the making of this memorial quilt. Kelsey Ullman, of Blueberry Lane Studio, donated the fine machine quilting to the project. 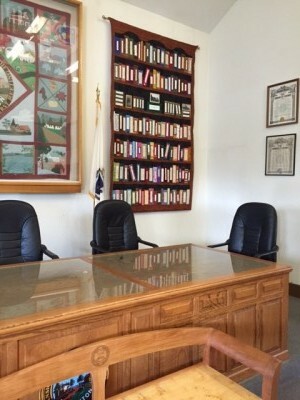 Katie Davenport coordinated the project on behalf of Hopkinton Public Library Foundation. About Hopkinton Public Library Foundation, Inc. 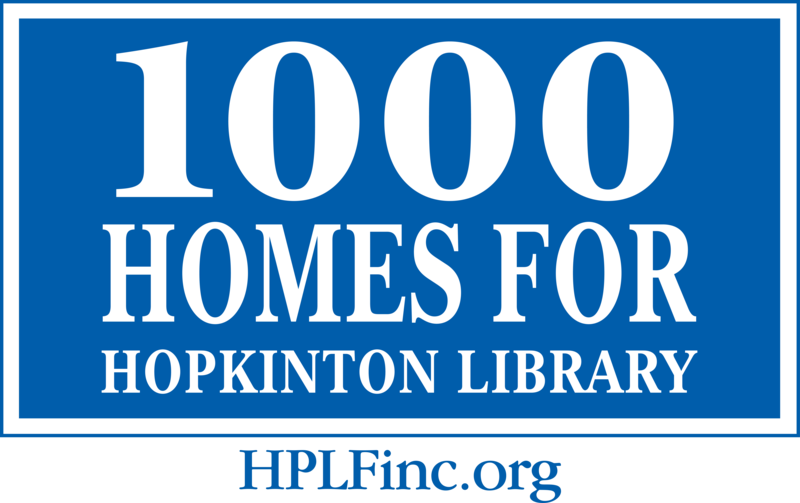 Founded in 2011, Hopkinton Public Library Foundation, Inc. (HPLF) is a 501(c)(3) nonprofit with the mission to raise private funds to support the state-of-the-art restoration, renovation and expansion of Hopkinton Public Library. HPLF has raised over $750,000 for the Library project. HPLF appreciates the Hopkinton community’s tremendous response, and asks for the community’s continued support. Gifts in any amount are welcome and appreciated, and are tax-deductible. For more information about how to build with us through 1000 Homes for Hopkinton Library, and the restoration, renovation and expansion of Hopkinton Library, please visit the HPLF website at www.HPLFinc.org and the HPLF Facebook page: www.facebook.com/HPLFpage. About the Marathon Quilt Guild. The Marathon Quilt Guild was founded in 1996, and is celebrating its 20th anniversary this year. Meetings are held on the second Tuesday of each month at the Faith Community Church, and membership is currently open to interested quilters in Hopkinton and the local community.